Big Band Library: July 2014 "Big Band News"
JULY 2014 "BIG BAND NEWS"
One of the most enduring mysteries of World War II has been what happened to beloved bandleader Glenn Miller in December 1944, and a PBS TV program airing this month, “History Detectives: Special Investigations,” produced by Oregon Public Broadcasting and Lion Television, is about to weigh in with its findings. 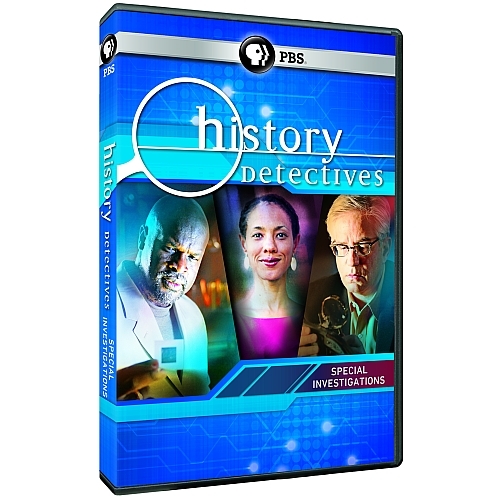 Three investigators will spend the entire hour's length of the show to try to solve the case: Wes Cowan, an independent appraiser and auctioneer; Kaiama Glover, professor at Barnard College, Columbia University; and Tukufu Zuberi, professor of sociology at the University of Pennsylvania. The 1954 Universal-International motion picture biography “The Glenn Miller Story,” starring Jimmy Stewart as Miller, depicted him, based in part on a wartime diary kept by Miller’s Army Air Force executive officer, Lt. Don Haynes, as taking off in a small Norseman plane headed from England to France, and supposedly going down into the English Channel. However, there have been some who disputed such a scenario and wondered out loud about a possible military cover-up. For instance, in 1980, a former policeman, Clive Ward, who later became a salvage diver, found what he believed to be the Norseman, some 80 feet below the Channel surface, about six-and-a-half miles west of the coast near Le Touquet, France. He told reporters that there was no sign of Miller’s body nor that of the pilot or other passenger. Meanwhile, novelist and former Royal Air Force pilot Wilbur Wright spent a lot of time considering all of the theories and rumors, taking them on one-by-one, and sharing his thoughts about each in his books, Millergate – The Real Glenn Miller Story (Southampton: Wrightway, 1990) and The Glenn Miller Burial File (Southampton: Wright Books, 1993). Like Ward had done, Wright, too, concluded that Miller was not aboard the Norseman - so whether or not that plane was raised became less important. Others have also remained doubtful about the official story of Miller’s death, such as Tony Eaton, a Miller expert and longtime member of the international Glenn Miller Society which operated from London, England until the spring of 2012, who continues to present an illustrated talk, “The Curious Disappearance of Glenn Miller,” to various groups in the UK. Whatever the truth, it won't change the the facts about the accomplishments of Glenn Miller nor the enjoyment of his music which many people share to this day. Billy Eckstine. “The Mellow Mr. B: 4 Original LPs 1957-1961,” Jasmine (E) JASCD 777. "my momma wouldn't even buy it." Enoch Light. “Big Bold and Brassy: Percussion in Brass / Vibrations,” Sepia (E) 1264. Temptation, American Patrol, and Music, Maestro, Please. Spivak, Tommy Dorsey, and Billy Eckstine, spread over four CDs. Harry James. "Springtime in the Rockies [ 1942 ]," 20th Century Fox Cinema Archives. Jul 9, Hollywood Bowl, Los Angeles, CA. Performing Arts Center, Centenary College, Hackettstown, NJ. Newton, NJ; Jul 30, The Royal Canadian Legion, Startford, Ontario, Canada. Doc Severinsen, b.Jul. 7, 1927. Trumpeter with FioRito ’45; Barnet ’47-’49; S.
Donahue ’48; T. Dorsey ’50. of Miller Orch ’81-’83 / ’88-’10. IAJRC Journal; Bunny Berigan Mr. Trumpet biography). Gloria DeHaven, b.Jul. 13, 1925. Singer with Savitt ’42. Beneke '46-'49; Columbia "Once Upon a Time" LP with Johnny Desmond '59. the Blues, and (with Buster Harding) 9:20 Special. ’48-’49 / ’51-’52; T. Dorsey ’49-’50; Brown ’54-’60. Lawrence Brown, b.Jul. 3, 1905. Trombonist with Ellington ’32-’51 / ’60-?. Miller AAF ’43-’45; leader of own band. Frank Rehak, b.Jul. 6, 1926. Trombonist with Gillespie ’56-’57. Nick Brignola, b.Jul. 7, 1936. Baritone saxophonist with Herman '63. Billy Eckstine, b.Jul. 8, 1914. Vocalist with Hines ’39-’43; leader of own band. Johnny Mince, b.Jul. 8, 1912. Clarinetist-saxophonist with Noble ’34-’35; T.
’45-’47; Kenton ’47-’48; Shaw ’49 / ’53-’54. Milt Buckner, b.Jul. 10, 1915. Pianist with Hampton ’41-’48 / ’50-’52. Armstrong ’47-’48; J. Dorsey ’49; Hackett ’56-’57. Noble Sissle, b.Jul. 10, 1889. Leader of own band. ’41; Thornhill ’41-’42 / ’46-’47. Ellington ’50-’53 / -’74? ; T. Dorsey ’53. 43 / ’45-’46; Millinder ’44-’45; Calloway ’46-’52. Nat Pierce, b.Jul. 16, 1925. Pianist with Clinton ’48; Herman ’51-’55. ’49? ; Goodman ’45-46 / ’85; Shaw ’49; Sauter-Finegan '52 / '53 / '61. Don Bagley, b.Jul. 18, 1927. Bassist with Kenton ’50-’54. ’54-’58. Brother of Jack Teagarden. ’51-’55; composer for T. Dorsey ’55; James ’58-’60. Danny Barcelona, b.Jul. 23, 1929. Drummer with Armstrong ’58-?. Goodman ’40-’41; leader of own band. T. Dorsey ’47-’49; Ellington ’51-’53; Dorsey Bros. ’55-’56; leader of own band. Erskine Hawkins, b.Jul. 26, 1914. Leader of own band. ’51 / ’54 / ’58?-’70s; T. Dorsey ’48. McKinney’s Cotton Pickers ’27-’31; leader of own band. Jimmy Blanton, b.Jul. 30, 1921. Bassist with Ellington ’39-’41?. ’29-’30; F. Henderson ’32-’33; Calloway ’40-’51; Ellington ’52-’53. Hank Jones, b.Jul. 31, 1918. Pianist with Shaw ’53-’54; Goodman ’56-’58. Frank Foster. A Jazz Master: Frank Foster: An Autobiography ( PFDGS Media, 2013). in 2011 at age 82. 2013). 400-page history of the famous jazz label with 1,200 illustrations. it included Nelson, Thornhill, Tucker, T Dorsey, Pastor, and James. 2014, p.27. Review of "Count Basie: One More Time" (Music Digital 5CD 90527).